This Decorative American Lifering 15" will compliment any beach home perfectly. Combining patriotic colors of red, white and blue, this hand-stitched nautical lifering will light up your beach living room, beach wedding decorations or beach themed party. 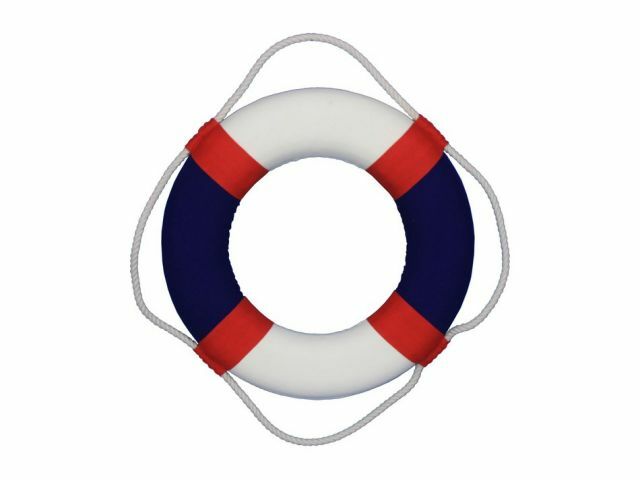 Our life ring decorations are the perfect choice for any beach setting.